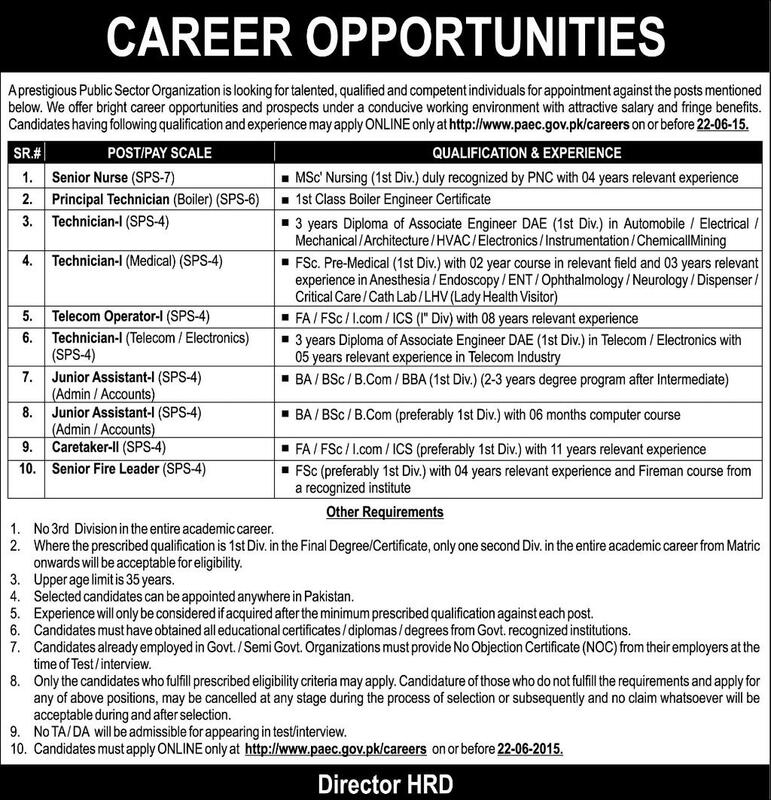 Public sector organization jobs online 2015. A prestigious Public Sector Organization is looking for talented, qualified and competent individuals for appointment against the posts mentioned below. We offer bright career opportunities and prospects under a conducive working environment with attractive salary and fringe benefits. Candidates having following qualification and experience may apply ONLINE only at http://www.paec.gov.pk/careers click HERE on or before 22-06-15. No 3rd Division in the entire academic career. Where the prescribed qualification is 1st Div. in the Final Degree/Certificate, only one second Div. in the entire academic career from Matric onward will be acceptable for eligibility. Experience will only be considered if acquired after the minimum prescribed qualification against each post. 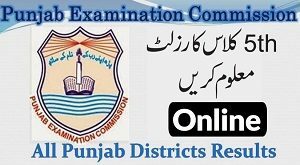 Candidates must have obtained all educational certificates / diplomas / degrees from Govt, recognized institutions. Candidates already employed in Govt. I Semi Govt. Organizations must provide No Objection Certificate (NOC) from their employers at the time of Test/interview. Candidates must apply ONLINE only at http://www.paec.gov.pk/careers on or before 22-06-2015.